This winery is a collaboration between celebrated Napa Valley vintners Mike Smith and Mark Carter who each have their own label specializing in Napa Valley Cabernet Sauvignon: Carter Cellars (Carter founded this label in 1998) and Myriad (Smith founded this label in 2009). Carter owns the Carter House in Eureka, California, known for a Wine Spectator Grand Award wine list at its 301 restaurant. Smith began working for Thomas Rivers Brown in 2001, and Brown introduced Smith to Carter. 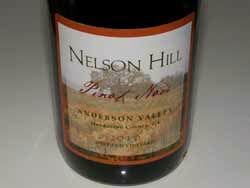 The first Pinot Noirs under the Ancillary label were released with the 2012 vintage. 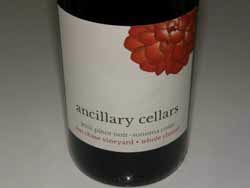 The wines are sold through allocation by mailing list at www.ancillarycellars.com. 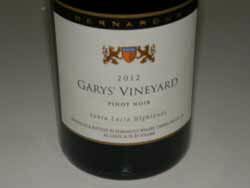 The three 2013 Pinot Noirs are now released. 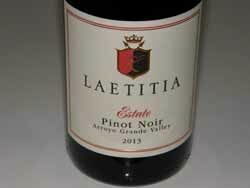 Pinot Noirs are hand-picked and sorted, 100% de-stemmed, fermented in small open-tops with twice daily hand punch downs. They are aged 10 months in 100% French oak barrels (40%-50% new) before final blending and bottling. 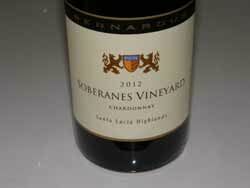 The Chardonnays are whole cluster pressed and fermented with a special selections of yeasts. They undergo 100% malolactic fermentation and are aged sur lie with stirring every two weeks until shortly before blending and bottling. Greg and Barbara Hill acquired a ranch in Philo in 1999 located close to Goldeneye, Roederer Estate and Husch. They rebuilt one of the valley’s oldest farmhouses and planted a small vineyard to Pinot Noir clones 114, 115 and 777 and a small amount of Pommard. 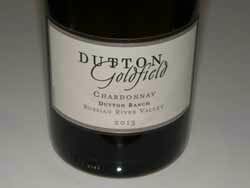 Deny Dudzik is the vineyard manager and winemaker with Phil Baxter, Jr., of Baxter Winery providing consultation. 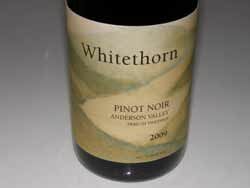 My initial impressions of the 2009 vintage estate Pinot Noir were not particularly favorable, but re-tasting recently changed my opinion. Tasting by appointment. Visit www.nelsonhillwinery.com. Proprietor Eric Hall launched Roadhouse Winery in downtown Healdsburg in 2008. He has a spirited passion for Pinot Noir which led him to be one of the founders of the annual Pinot on the River Festival in 2004. Much of his winemaking experience came from work at Papapietro Perry Winery. A tasting room is located in downtown Healdsburg next door to Oakville Grocery. His wines have colorful labels and wax-dipped tops. Visit www.roadhousewinery.com. This southern Humboldt County producer was founded by Tasha McCorkle McKee, a graduate of University of California at Davis with a degree in fermentation science. This was a remarkable achievement considering she left high school before graduating to work in the carpentry business with her father. She rose to an assistant winemaking position at Simi Winery under Zelma Long before launching her Whitethorn label in 1991 with the assistance of her father and Joe and Maggie Collins of nearby Briceland Winery. I was impressed with her Pinot Noirs from Hyde and Hirsch vineyards and her wines became well known among the San Francisco Bay Area restaurant community. Some personal lifestyle issues and a desire to devote her energies to the nonprofit Sanctuary Forest that addresses stream flow for fisheries and wildlife habitats led her to cease winemaking with the 2002 vintage. Tasha’s son, Galen, has taken over the operations of the winery. Tasting is by appointment - 707-986-1658. 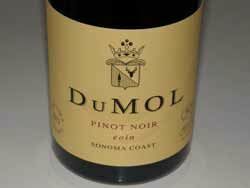 The wines can be found at select wine retailers and restaurants in the San Francisco Bay Area. Two annual open houses are held Thanksgiving and Memorial Day weekends.